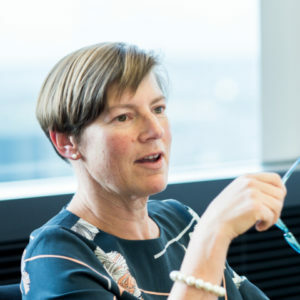 Joanna Elson, chief executive of the Money Advice Trust, looks at the National Audit Office’s new report on tackling problem debt and outlines why a single, cross-government strategy is needed. Today’s National Audit Office (NAO) report on tackling problem debt hits the nail on the head. It rightly identifies the significant impact personal debt has on individuals and the economy, with significant costs to the public purse in the areas of social housing, the NHS, lost employment and greater dependence on other public services. Crucially, the NAO report highlights “weaknesses” in the government’s strategy for dealing with the issues – and in so doing, has given the issue of problem debt a further shove in its inexorable climb up the political agenda. This, like many before it – not least the Treasury Select Committee’s recent report and work from advice agencies including the Money Advice Trust, Citizens Advice and StepChange – shows that the government also needs to put its own house in order when it comes to how it collects the growing number of debts owed to public sector creditors. 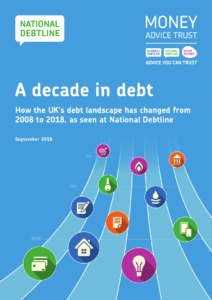 An important focus is also given to the role of debt advice – and with demand for debt advice from National Debtline expected to reach a five-year high this year, problem debt’s climb up the agenda in Westminster is timely. Many of the findings in the report reinforce those in our new report out this week, A decade in debt, which looks at the changing realities of debt problems in the 10 years since the financial crisis. A decade on from the crash, our advisers at National Debtline are hearing from more people struggling with household bills and debts to central and local government. Nearly three in 10 callers (30 percent) now have council tax debt, up from just 15 percent in 2008, with the proportion of callers struggling to repay benefit and tax credit overpayments increasing from three to 16 percent – and energy, water and telecoms arrears also increasing.  More people are struggling with smaller but trickier debts, with half of all callers to National Debtline now unable to repay debt of £5,000 or less – up from just 22 percent in 2008. While some positive steps have been taken by government with the creation of the new Single Financial Guidance Body and plans for a statutory ‘Breathing Space’ scheme, as both the NAO and our report emphasise, more work is needed. To build on these encouraging developments, we need a new, formal, cross-government strategy to reduce problem debt – with HM Treasury bringing all the relevant government departments, agencies, regulators and all the different strands of work, together into a single coherent approach. Between them, the Treasury Select Committee and National Audit Office have put problem debt firmly centre stage. We look forward to working with the government as it works through these recommendations – and hopefully, seizes this opportunity to bring about significant progress in the fight against problem debt in the UK.